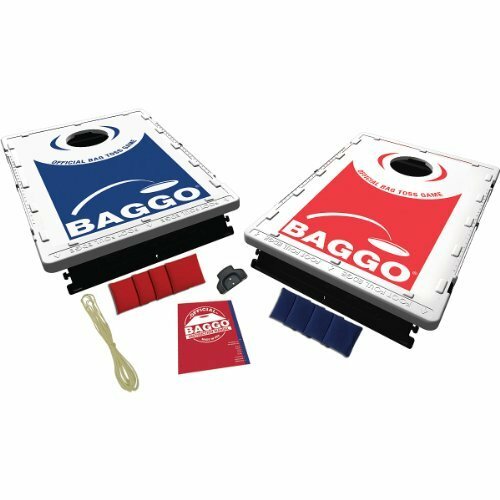 The two official Baggo game boards included with this toss game are constructed of blow-molded, lightweight and high-impact polyethylene, which provides lasting durability for years of enjoyment. The cotton/polyester heavy-duty poplin bean bags are filled with treated unpopped corn and designed with dual-duty, extra-strength thread. Do not store this game outside; it is highly recommended that you use the wall-mounting bracket to store indoors.